I recently did a talk at TEDx Nashville about how textiles can be used to save and improve lives. Check it out! 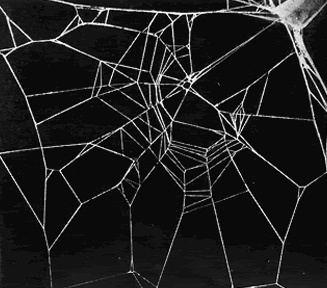 There’s been a lot of talk lately about spider silk. Shawls made from spider silk. Genetically modified goats that produce spider silk milk. Its super strong stuff and incredibly interesting for the future of high performance textiles. Great stuff, but I think we need to take the time to remember the important scientific work of seeing what happens to a spider’s web making ability under the influence of drugs. This is inspired play. Never in my years of childhood mastery of Tinkertoys, Legos, Lincoln Logs and Erector Sets, had I ever risen to this level of engineering.